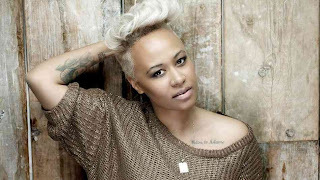 An artist that is still relatively unknown in the United States just broke a major record in the U.K. Emeli Sande's album Our Version of Events, has been in the Top 10 of the official UK album chart for 63 consecutive weeks, breaking the 62 week record held by The Beatles. A chart record the Beatles have held for 50 years! Our Version of Events is the biggest selling album of 2012 in the U.K., and is currently the best selling album in 2013. I'd say move over Adele, but Emeli's first name is Adele as well. This very talented Scottish singer-songwriter has also written songs for Cher Lloyd, Susan Boyle, Rihanna, Leona Lewis, Tinie Tempah and others! You can check out my latest remix of her hit single "Next To Me" this weekend, along with brand new HK ear-gasims on "#thatpower" - Will.I.Am/Justin Bieber, "Come & Get It" - Selena Gomez, "Tonight I'm Getting Over You" - Carly Rae Jepsen and the number two banger from Macklemore & Ryan Lewis ft. Ray Dalton - "Can't Hold Us". I'm also bringing some brand new heat with insane mixes on Imagine Dragons - "Radioactive", Demi Lovato - "Heart Attack" and Icona Pop/Charli XCX - "I Love It". And you're gonna love it, cause it's all commercial free music sets, back to back and beat to beat!